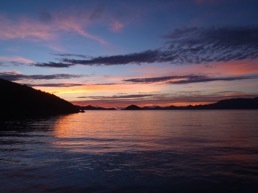 Discover the Caribbean… A world of azure blue waters & picture perfect sunsets! 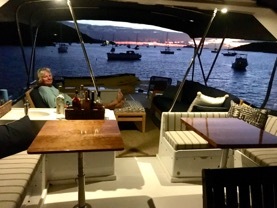 Aboard McGregor III, we will show you the magnificent cruising grounds of BOTH The U.S. and British Virgin Islands. 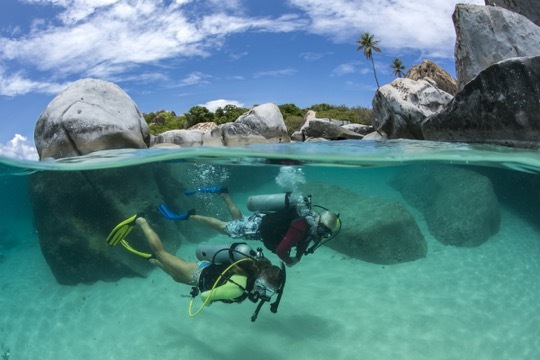 Spend your vacation snorkeling the magnificent shallow water reefs or perhaps learn to SCUBA dive for a closer look. 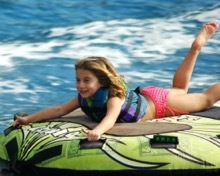 Try out our numerous water sports toys, or explore the whitest sand beaches the Virgin Islands have to offer. Learn of ancient pirate lore or kick back with a good book. We customize your charter to accommodate the things you are interested in doing! Sunset cocktails on the boat or "sundowners" at the local beach bar. The choices are endless. Evenings are spent enjoying Julie's Gourmet Meals in an open air "al fresco" setting. Relaxing under the stars or dancing to the island beat will cap off a fun filled day. 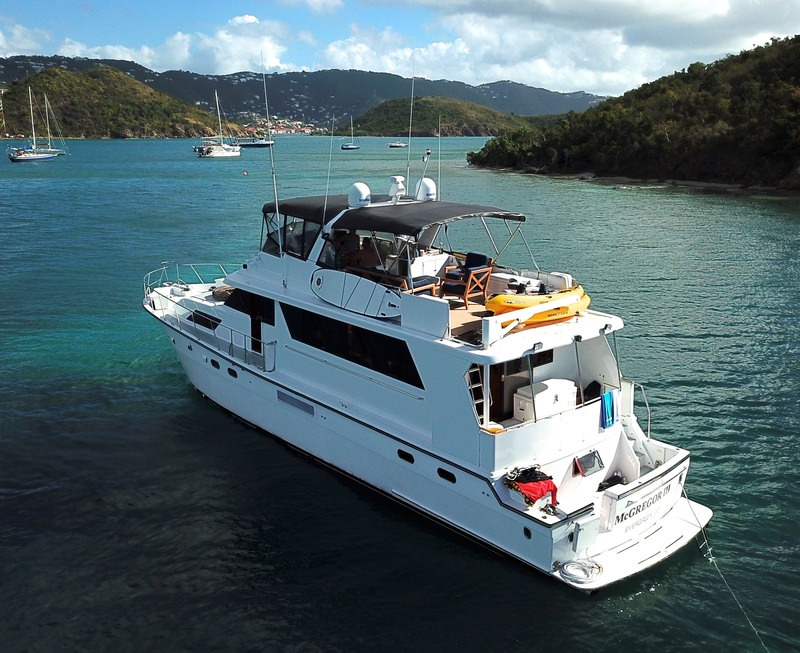 Our Classic MotorYacht can accommodate up to 6 guests in 3 staterooms. For more information, you can look at our Rates and Availability pages. Join us and discover these beautiful islands. Relax, Take it Easy, & Unwind In Your Own Special Way! Wether it's your 1st charter on McGregor, or your 5th, Captain Tim and Chef Julie have one goal in mind, to give you the best vacation of your life! With over 20 years of chartering experience, we are always available to answer any questions that you may have. Shoot us an email via the contact form or call us at (340) 690-1971 and we will get back to you as quickly as we can.